In Fantasy Fantasy Baseball, you are the Wizard manager of a baseball team of fantasy creatures going through a season of fantasy baseball. Go head-to-head against other Wizard managers and battle for wins while building up your team?s statistics. But beware, your players may be sent on missions or have spells cast on them.Developed by acclaimed designers Daryl Andrews and J.R. Honeycutt with art by Rob Lundy, Fantasy Fantasy Baseball is a roster-building card game that requires you to draft a strong team, manage your roster, deal with events and use your players? 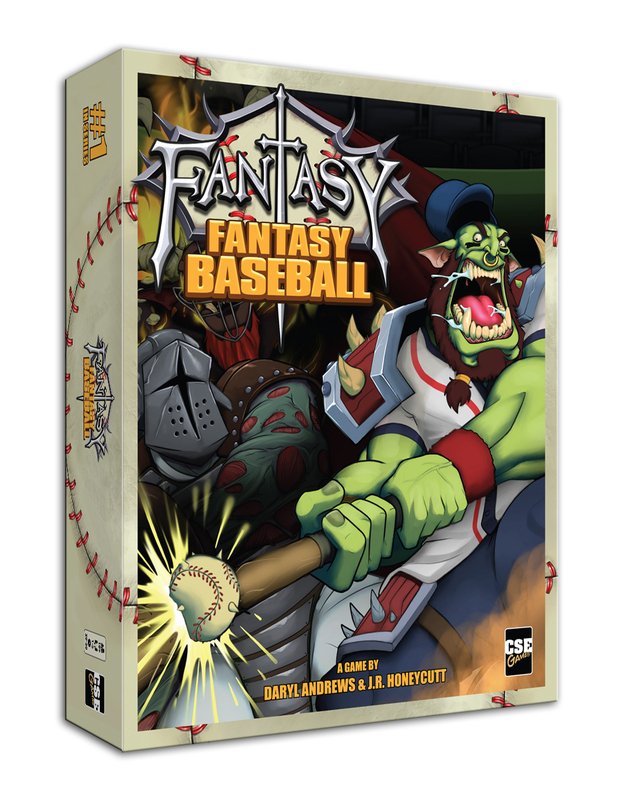 special abilities.Fantasy Fantasy Baseball weaves together all the best elements of fantasy baseball, including head-to-head win system and rotisserie stat tracking. However, instead of the typical fantasy sports experience taking months to play, the entire experience is boiled down to 10 minutes per player. Also, the amazing fantasy creatures help make this game accessible and fun for baseball fans and gamers to enjoy together.